The 2013 Global Burden of Disease Study demonstrated the increasing burden of diabetes and the challenge it poses to the health systems of all countries. The chronic and complex nature of diabetes requires active self-management by patients in addition to clinical management in order to achieve optimal glycaemic control and appropriate use of available clinical services. 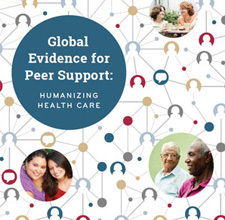 This study is an evaluation of a “real world” peer support program aimed at improving the control and management of type 2 diabetes (T2DM) in Australia.